In recent years, the concepts of complete streets, right-sizing streets and traffic calming have taken the transportation planning industries and cities across the country by storm. 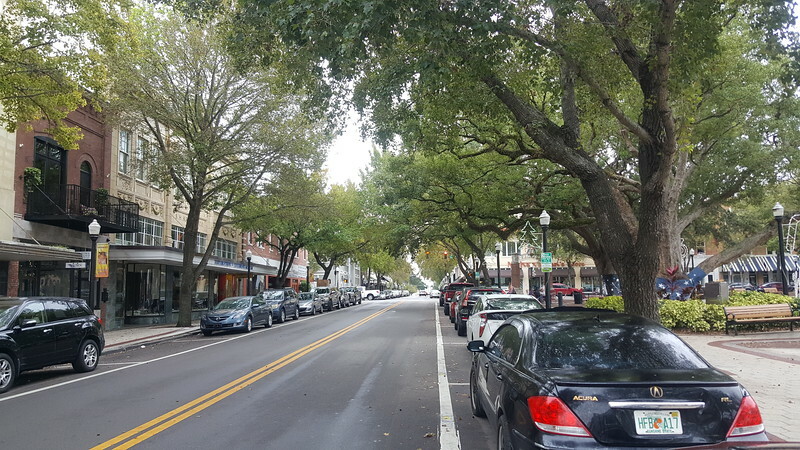 If you live in a municipality that still questions the economic impact these concepts can have on your community, look no further than the implementation of Lakeland, Florida's 1990 Downtown Redevelopment Plan. 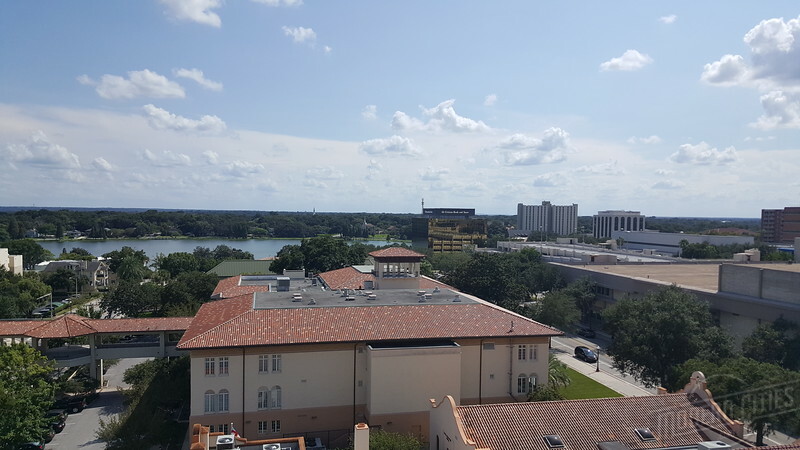 Incorporated on January 1, 1885, Lakeland, Florida is a city of 106,000 residents and home to a central business district largely developed during the 1920s Florida Land Boom. Located 36 miles east of Tampa and named for its many lakes, by the 1980s much of it’s historic heart had been decimated by a series of arterial highways and one-way streets. While Jacksonville, Miami and Tampa incentivized festival marketplaces in hopes of stimulating urban revitalization, Lakeland failed in its 1980’s attempts to draw a mall to its declining core. At that point, city officials focused its revitalization efforts around the concept of traffic calming and strategic economic incentive deals. Crafted by Cy Paumier of Columbia, MD-based LDR International and adopted in 1990, the city’s redevelopment plan focused on spending $1.2 million a year to streetscape 20 core blocks of the city over a five-year period. A view of Main Street in 1946. 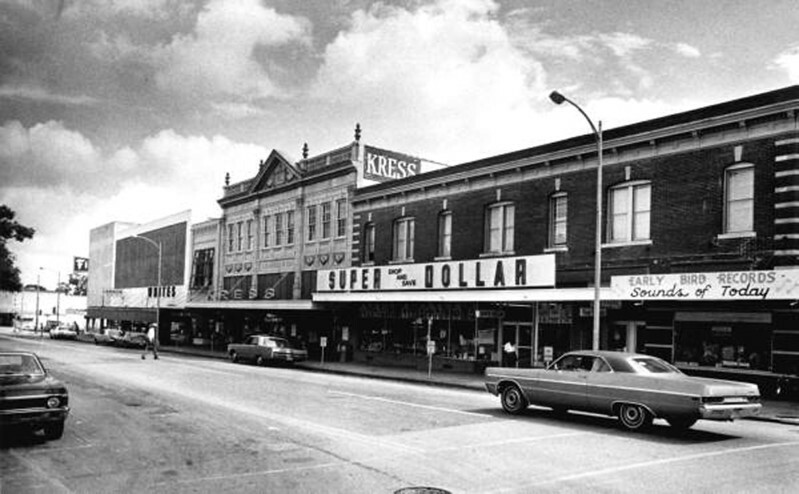 Main and Lemon streets once combined as US 92 Business route to form a continuous one-way circle around Lake Mirror. Today, these streets have been removed and converted into a public park and pedestrian promenade. 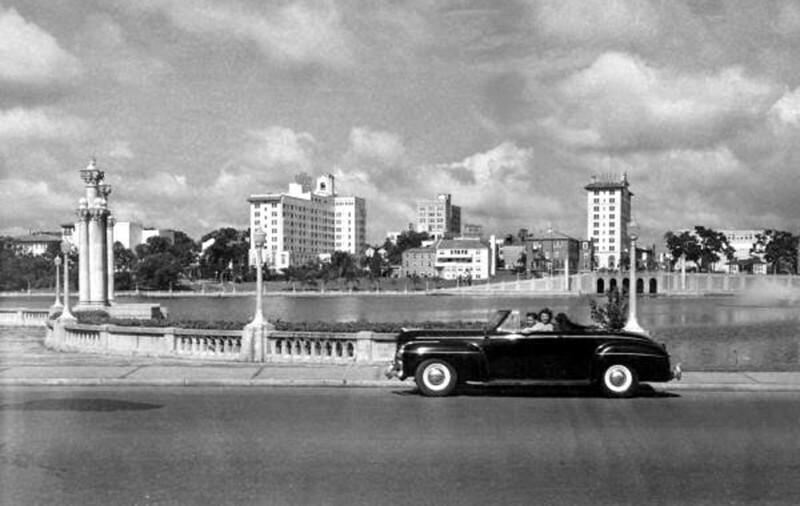 Photograph courtesy of the State Archives of Florida. “If the public sector doesn’t lead the way, then private developers won’t invest,” said Jim Edwards, executive director of the Lakeland Downtown Development Authority at the time. The city’s belief was that by two-waying one-way streets, enhancing sidewalks, pedestrian scale lighting, landscaping and burying utility lines, over $220 million in redevelopment would be lured around those investments over a 15 year period. Launched in 1992, the Lemon Street Promenade was the first phase of the city’s street enhancement initiative. This $770,000 project involved giving eastbound US 92 Business route (Lemon Street) a road diet, creating a linear 50-foot-wide park through the downtown district. It was followed by the streetcaping of one-way north/southbound pairs Kentucky and Tennessee Avenues and Main Street (westbound Business US 92). In 1997, the city successfully worked with the Florida Department of Transportation (FDOT) to outright eliminate the US 92 Business route designation from the state’s highway system. This move freed the city to close and convert several blocks of Lemon into a pedestrian promenade and park, at the cost of $2.7 million in 1998. This was followed by a 1999 decision to spend $565,000 to convert Main and Lemon Streets (former US 92 Business route), downtown’s main east-west one-way pairs, into two-way streets. 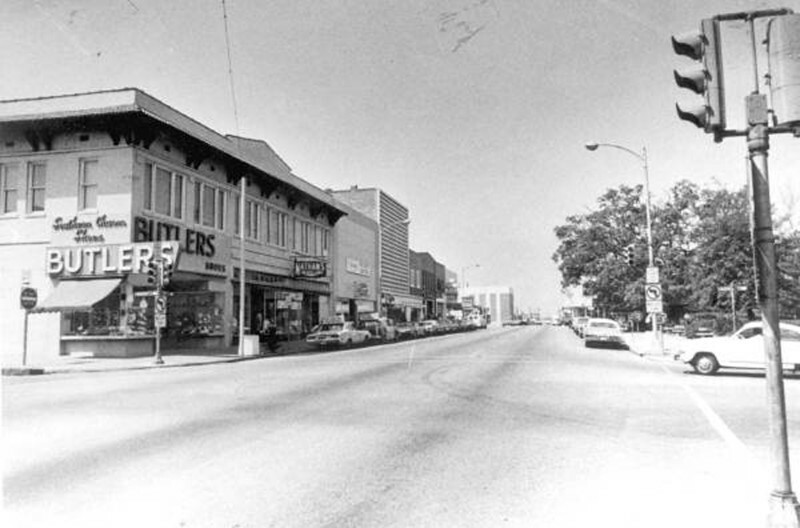 Following their conversion, the same was done with north-south pair Kentucky and Tennessee avenues. Over 15 years have passed since most of the city’s initial traffic calming, road diet and two-way conversion investments were completed. Looking back, officials were right in their belief that their traffic calming and public space enhancements would draw significant private sector investment. After two decades of growth, Kentucky Street’s landscape has turned it into a perfectly shaded street. Here’s a look at these former one-way streets and the surrounding pedestrian scale atmosphere stimulated around them.